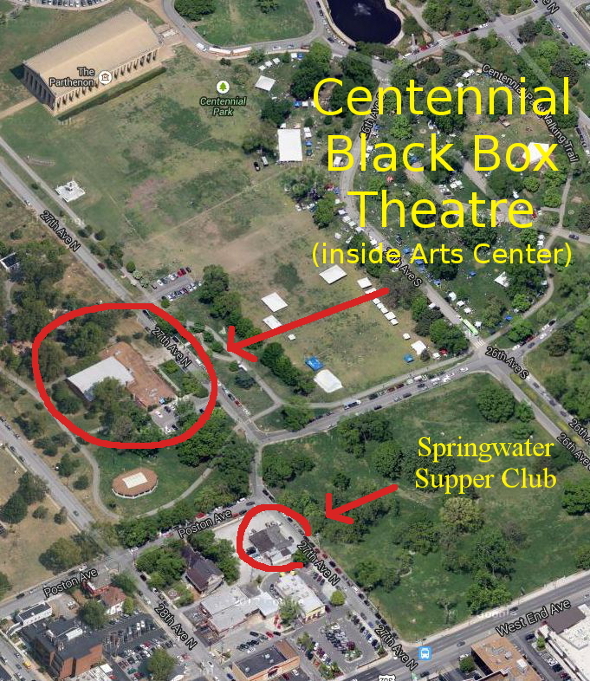 Nashville composer, coder, oboist, new media artist, and Circuit Benders’ Ball alum Robbie Lynn Hunsinger will perform Friday, March 11 at 8 p.m. at the Centennial Black Box Theatre. The event is a part of Metro Parks’ experimental arts series Free Form Friday. 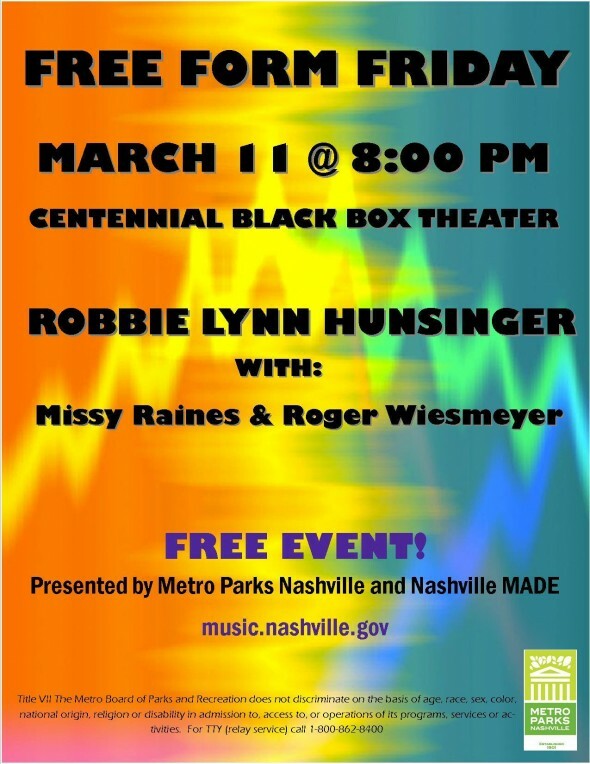 Hunsinger will be joined by award-winning double-bassist Missy Raines and Nashville Symphony English horn player Roger Wiesmeyer. Hunsinger will perform on oboe, saxophone, Irish whistles, and various electronic gear. Expect a guest appearance by the Arduino drummer (although this time it may switch from snare to cymbal). 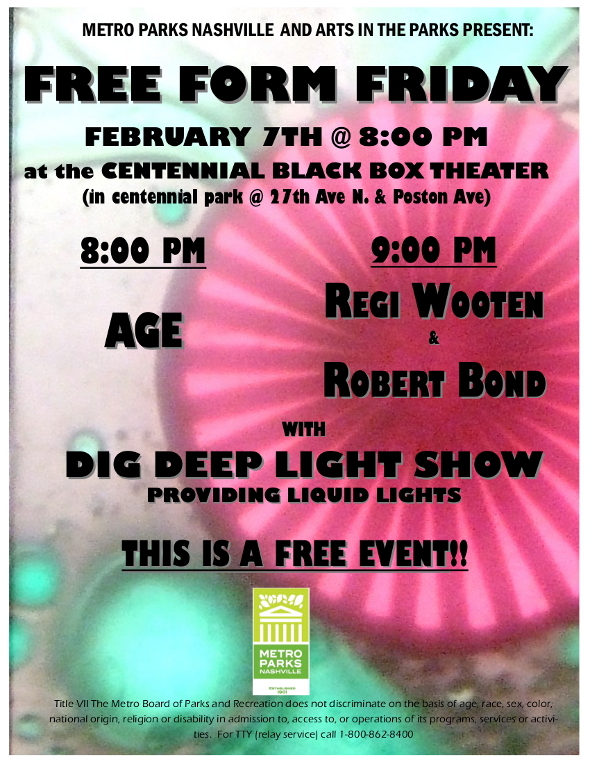 Like all Free Form Fridays, this event is FREE. To learn more about Free Form Friday, check out my Nashville Arts interview with Mike Teaney. Ebenezer Creek for Two English Horns, Bass & Interactive Video – Excerpt from Robbie Lynn Hunsinger on Vimeo. “Blue-Yellow-Red” interview with Robbie Lynn Hunsinger from Robbie Lynn Hunsinger on Vimeo. 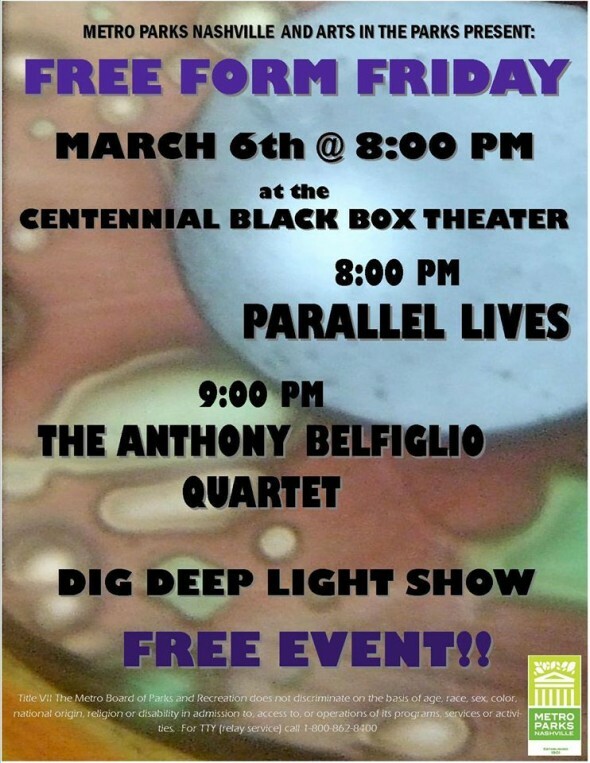 Mike Teaney’s psychedelic improv series Free Form Friday returns to the Centennial Park Black Box Theatre tonight at 8 p.m. 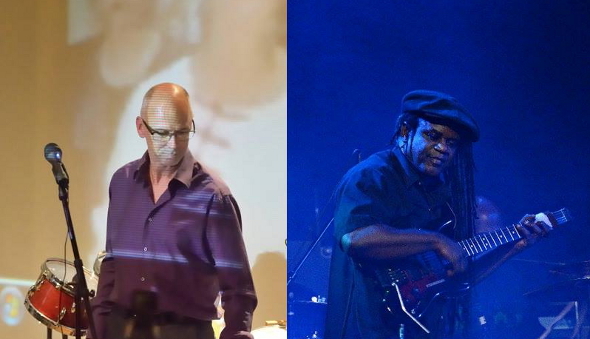 The bill features composer, pianist, and Belmont professor Anthony Belfiglio with his jazz quartet and Parallel Lives, the laptop duo of University of Mississippi professors / Visceralmedia Records co-founders Michael Gardiner and John Latartara. As a member of the laptop duo Parallel Lives (with John Latartara), he explores intersections between canonic repertoires and electronics. The group recently released Beethoven Hammerklavier on Centaur Records, a collaboration relying solely on performances by pianists, Beethoven samples, and ambient recordings made at a conservatory of music to create a view of the musical work documented in all of its stages; from discussion, to the practice room, recording studio and concert hall, to its final confrontation with software applications that threaten its identity. Modular Art Pods participants Dig Deep Light Show will provide the visuals. And just like all Free Form Friday events, it’s free! 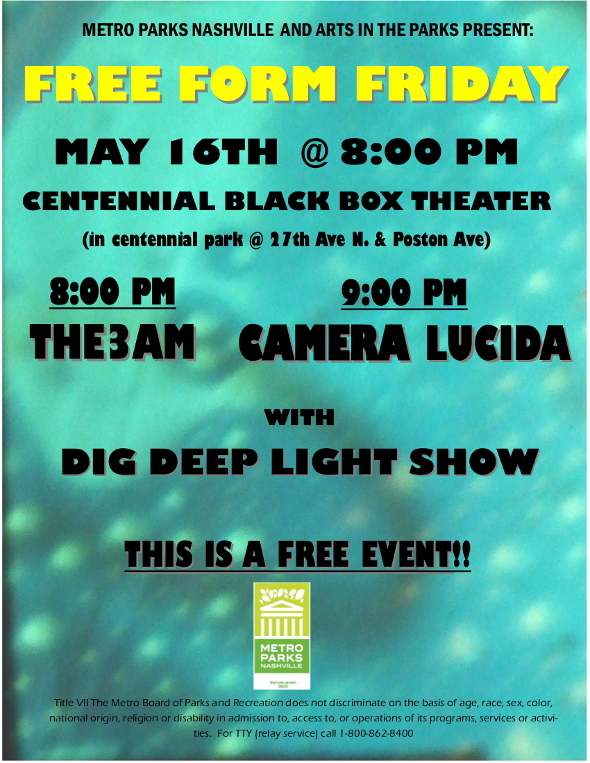 Centennial Park Black Box Theatre‘s Free Form Friday series returns tomorrow evening with Louisville’s finest experimental multimedia group Camera Lucida. Camera Lucida (Roxell Karr and Jon Silpayamanant) incorporate interactive video, electronic & acoustic music, and live dancing to create sensory spectacles. Words don’t do them justice. Watch the videos below. Also performing are Nashville’s post-dub-step / ambient band THE3AM with visual accompaniment by Dig Deep Light Show. For more info on Free Form Friday, check out this interview I did for Nashville Arts Magazine with Metro Parks’ Mike Teaney.